A report published by Marketo, entitled The State of Engagement, has created sparkling eyes and animated conversations here at Striata. Based on research involving both marketers and consumers, the findings support so much of what we experience in our business – it’s just too good not to share with you. Below are the key findings that excited us most, along with commentary from our digital communication gurus. Email was by far the channel mentioned most by respondents, when asked how engagement with brands is initiated. At a whopping 79%, email was mentioned more than website (60%) and social media (35%). “We’re naturally biased when it comes to believing that email outperforms other digital channels as an engagement tool. Claims that email has past it’s prime as a commercial communication channel are simply not true. Members of the Direct Marketing Association are currently recording a return on investment of 380% on email campaigns. The research shows that the primary reason consumers don’t engage is because the brand sends too much irrelevant content. This factor is mentioned far more than unresolved service issues or lack of preferred channel. Perhaps most interesting – more people fail to engage because they receive irrelevant content than those that are just no longer interested in the brand’s products and services. “We’re definitely guilty of going on and on and on about relevance as a key success factor in email marketing. But really, it is THE key success factor and this research supports our position. Email was mentioned more than websites, online communities AND SOCIAL MEDIA for post purchase feedback and support. This shows that email is still the channel most customers prefer using when interacting with a brand. “Social media gets a lot of attention as a service channel because it’s public. But still, more consumers are using email to get support or feedback from a brand. Consumer perceptions are not the only valuable insights… the report also looks at how business customers engage with their vendors and how marketers themselves view the engagement landscape. 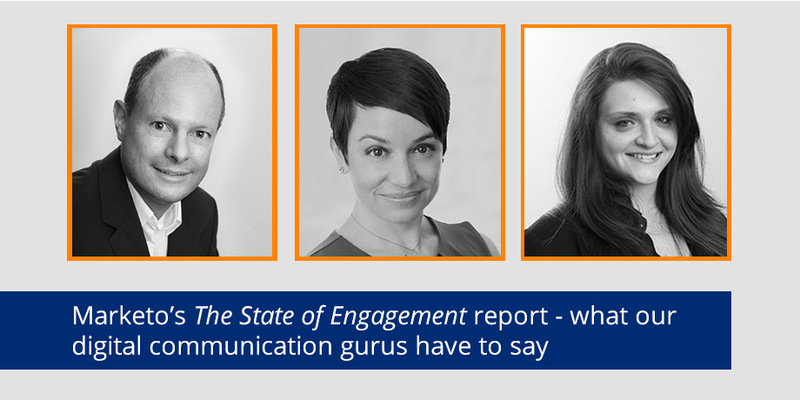 We hope you enjoy reading The State of Engagement report as much as we did.